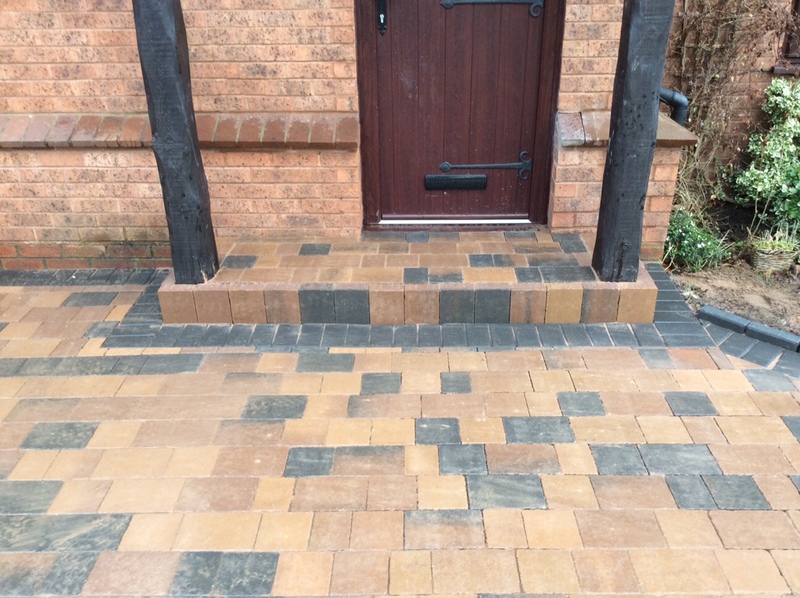 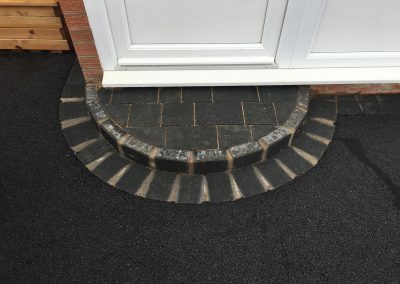 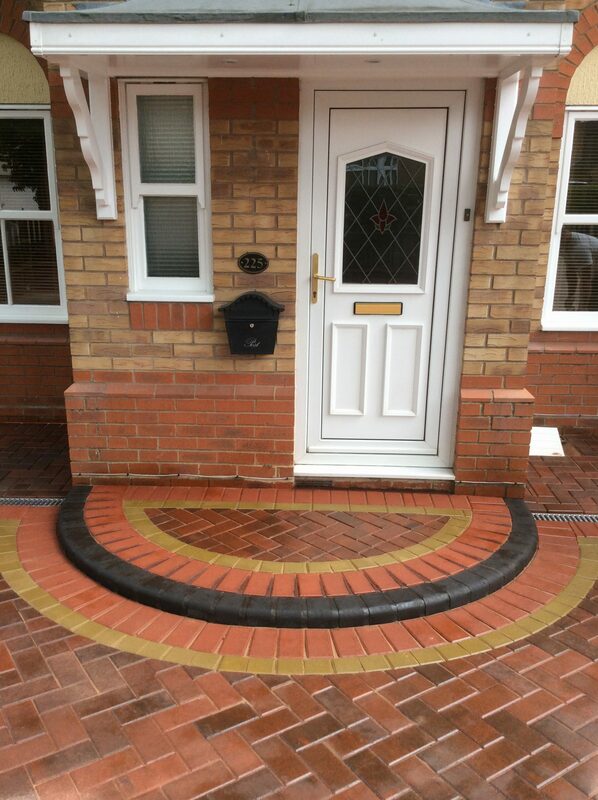 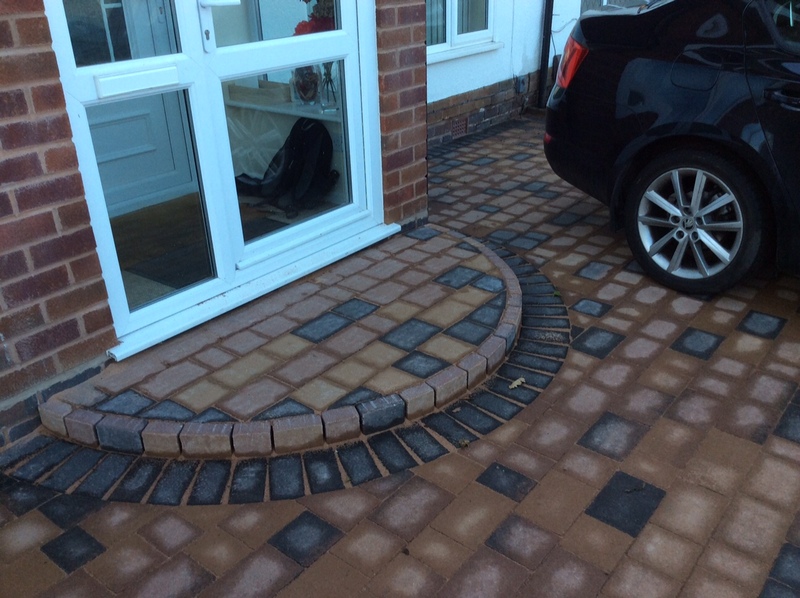 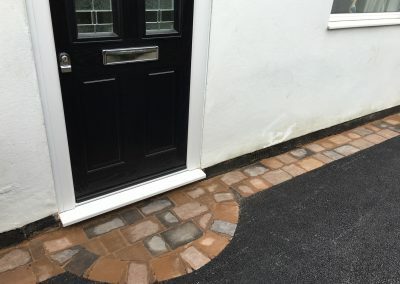 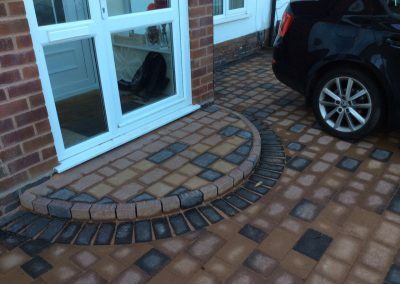 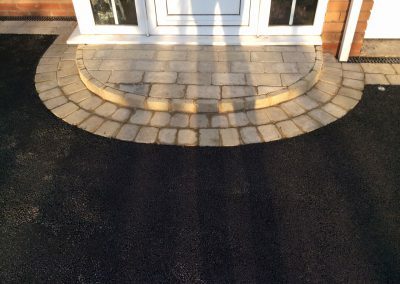 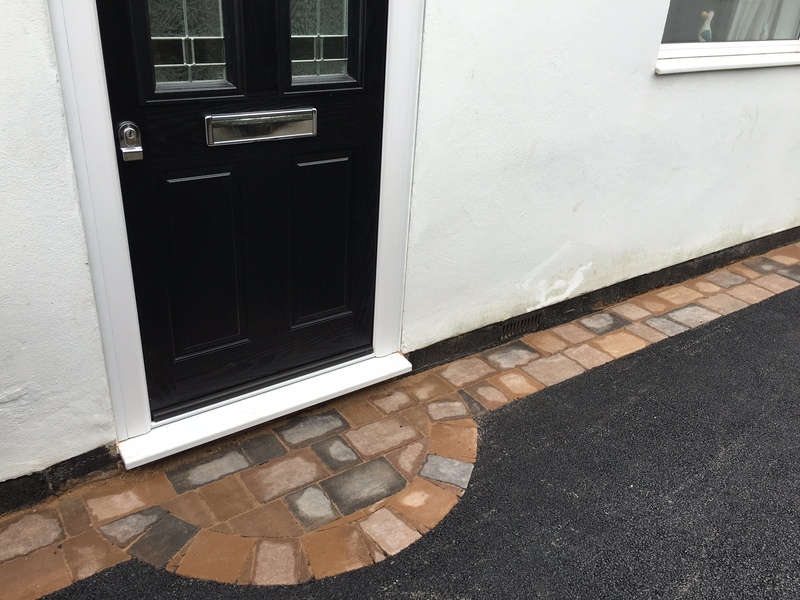 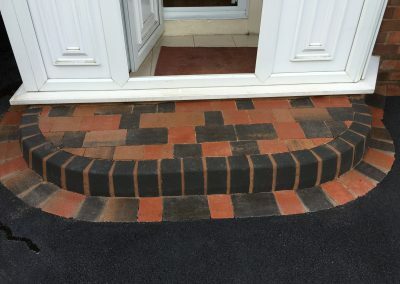 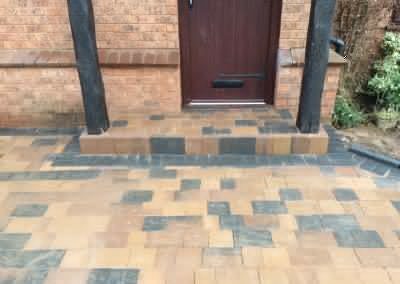 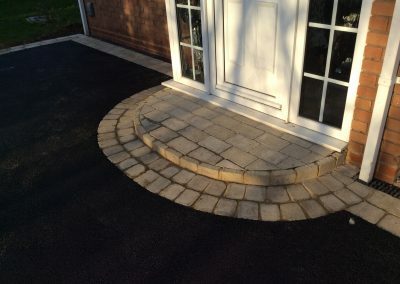 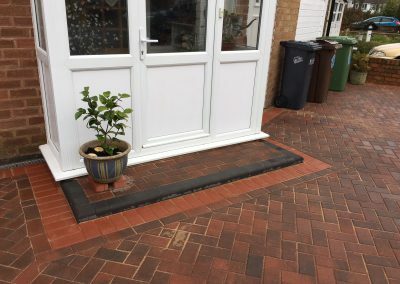 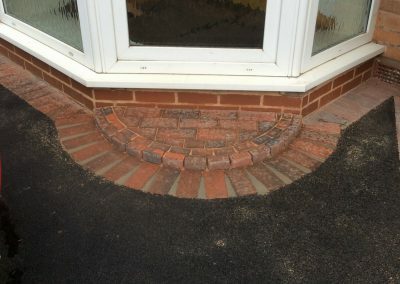 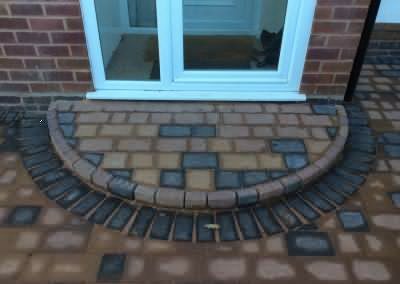 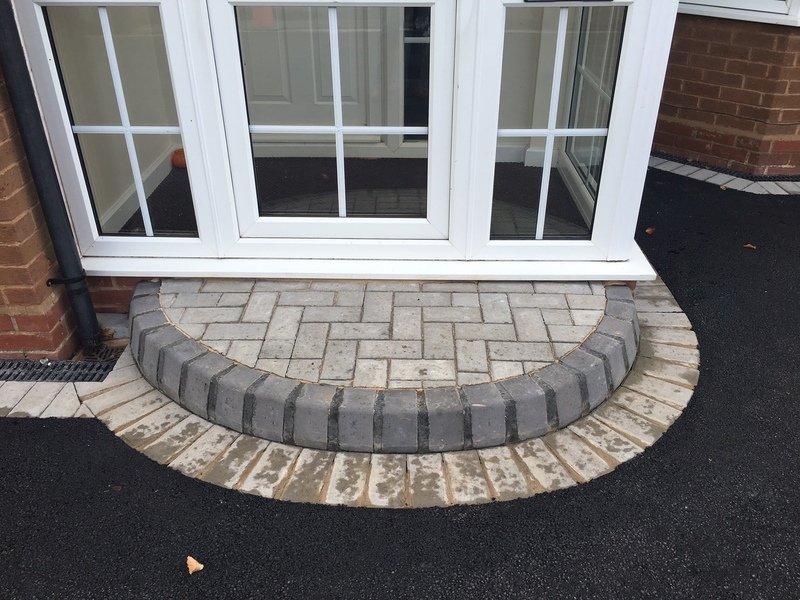 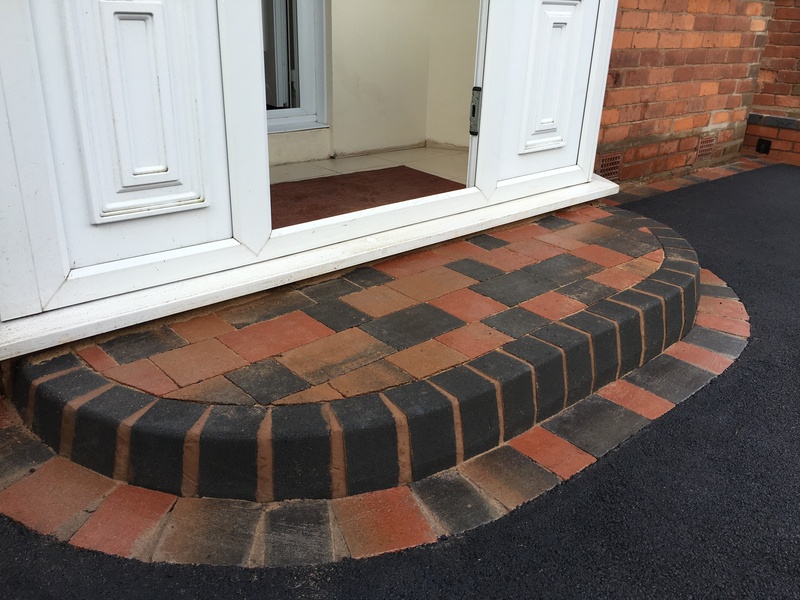 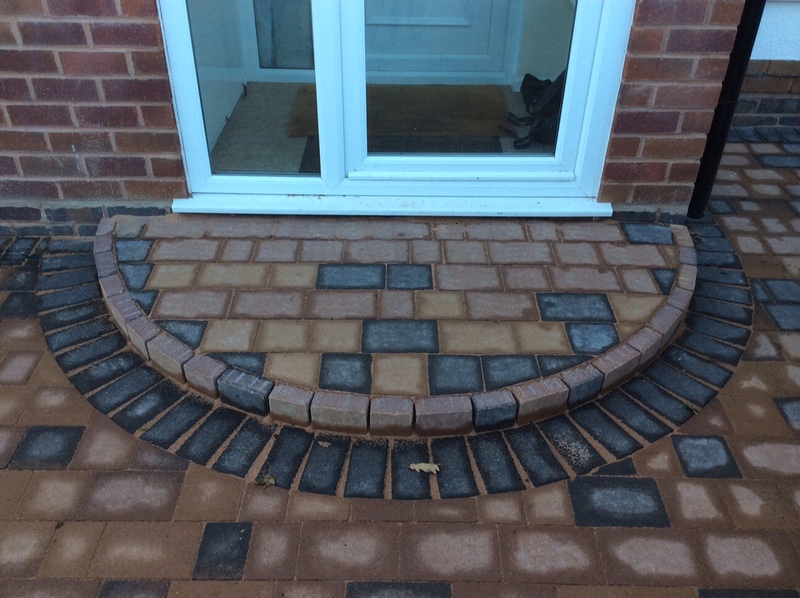 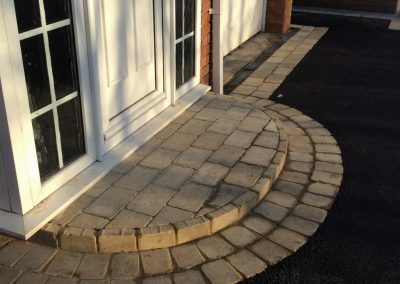 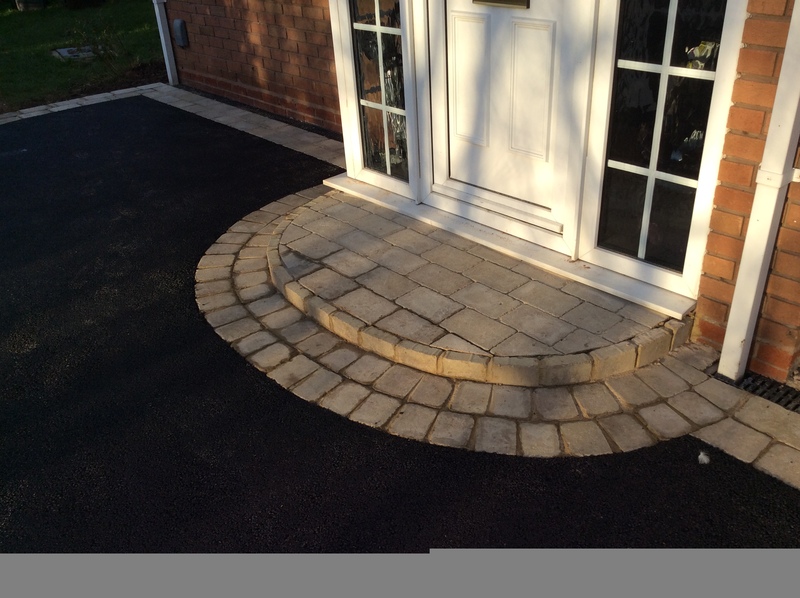 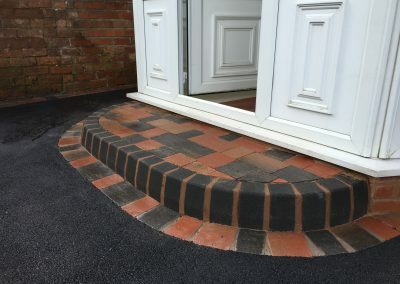 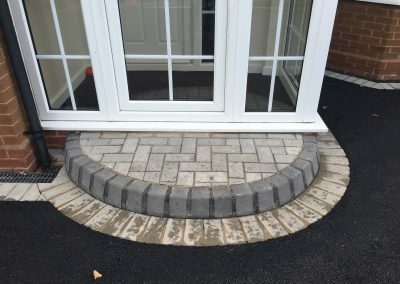 New Drives and Landscapes Limited are professional installers of decorative doorway steps and brick door steps in Birmingham and across the region. 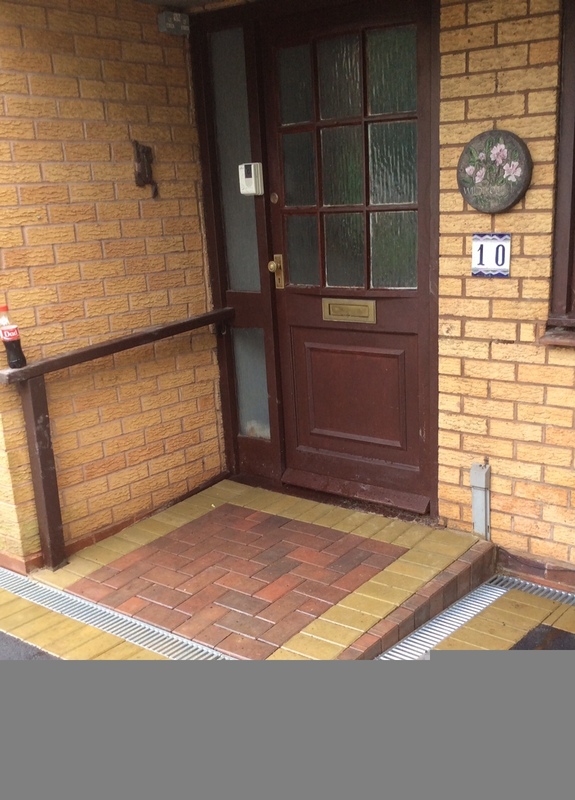 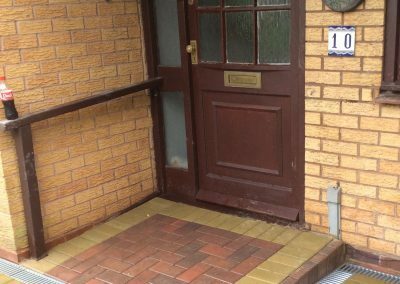 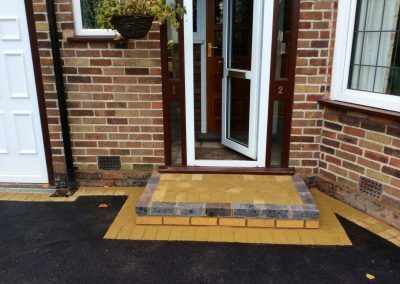 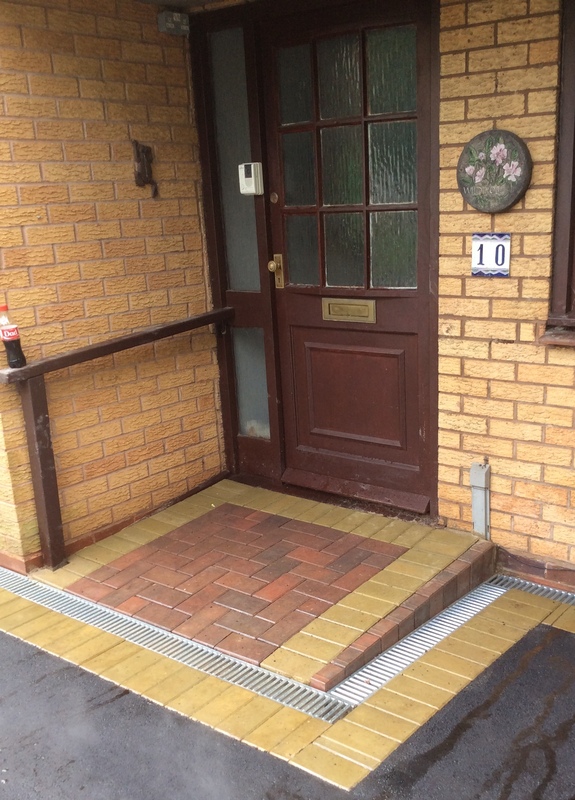 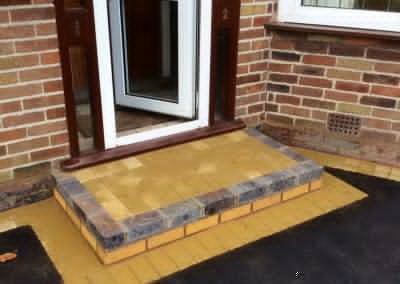 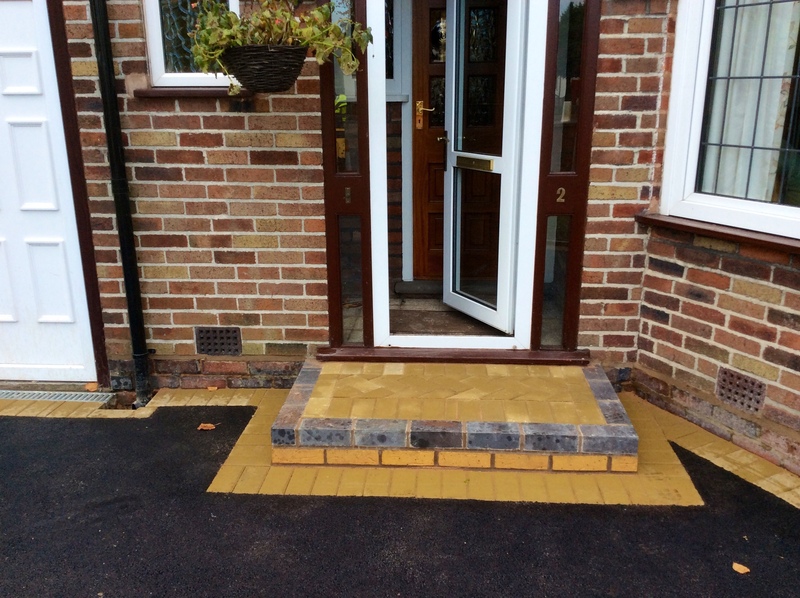 We have vast experience installing a wide range of door steps, door entrance patterns and disabled ramps to any property. 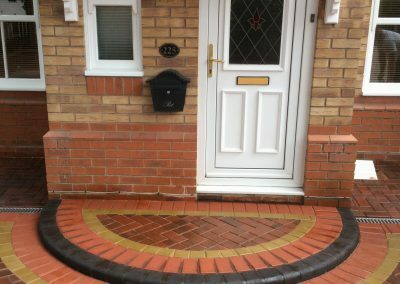 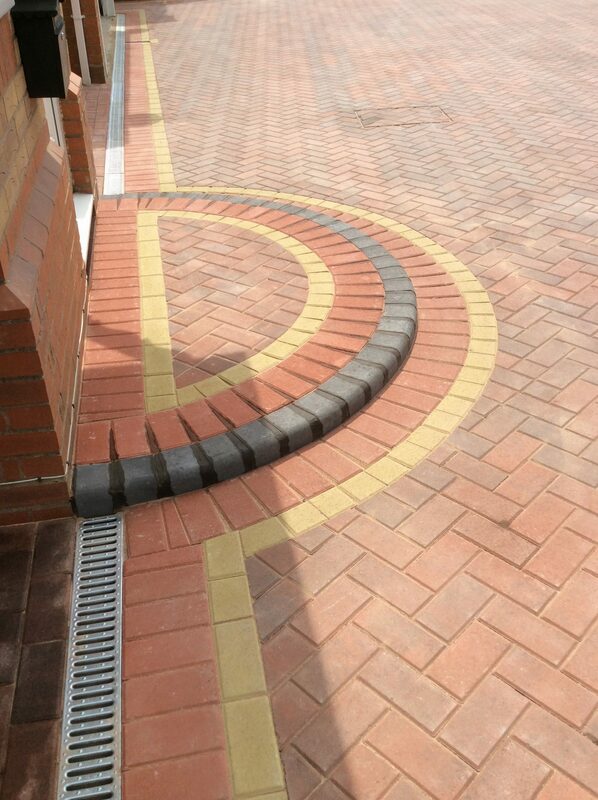 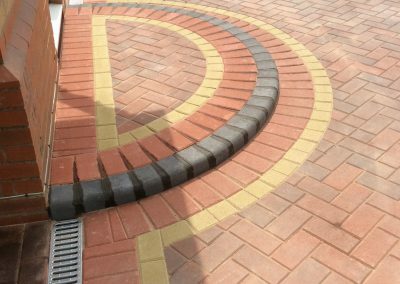 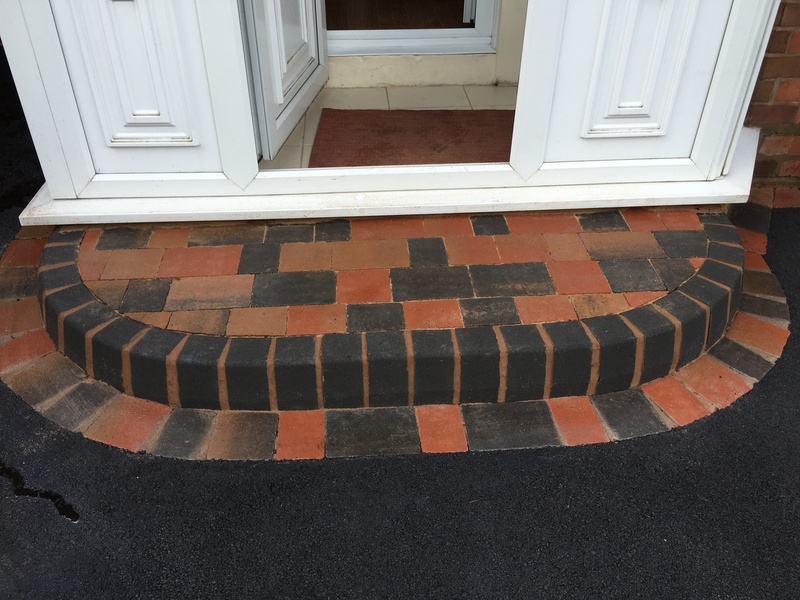 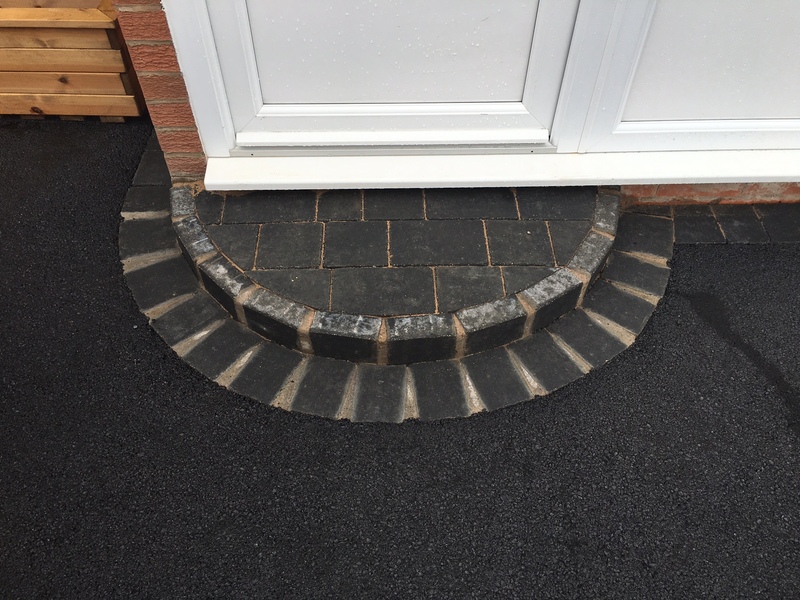 Whether you want a complete bespoke step or something to match your existing drive or house brick, we can ensure you get a perfect match. 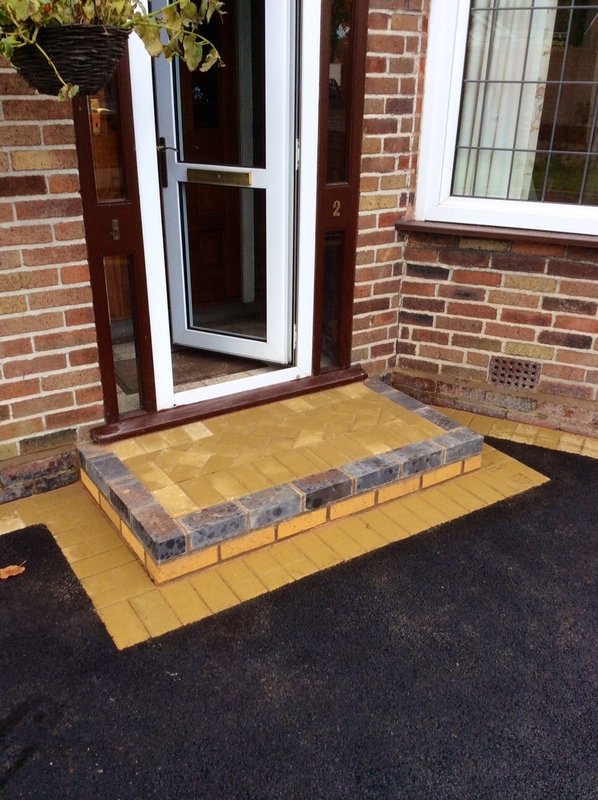 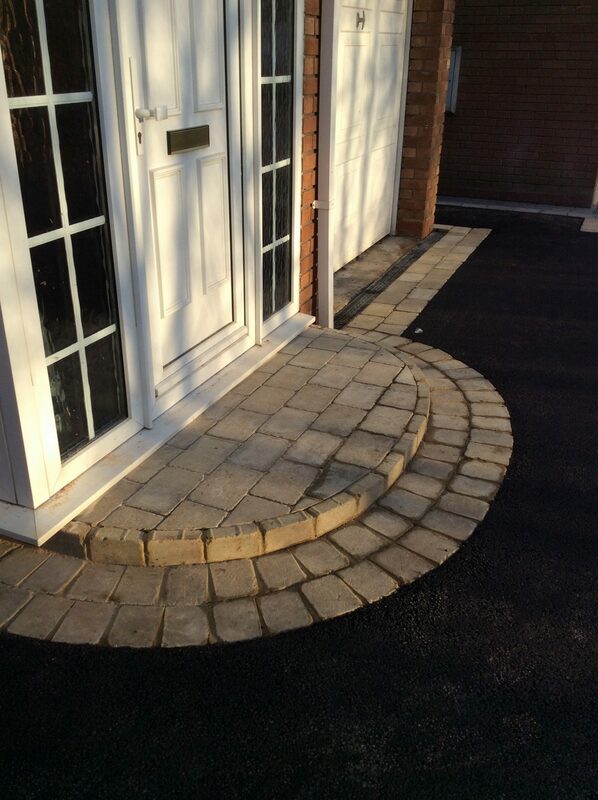 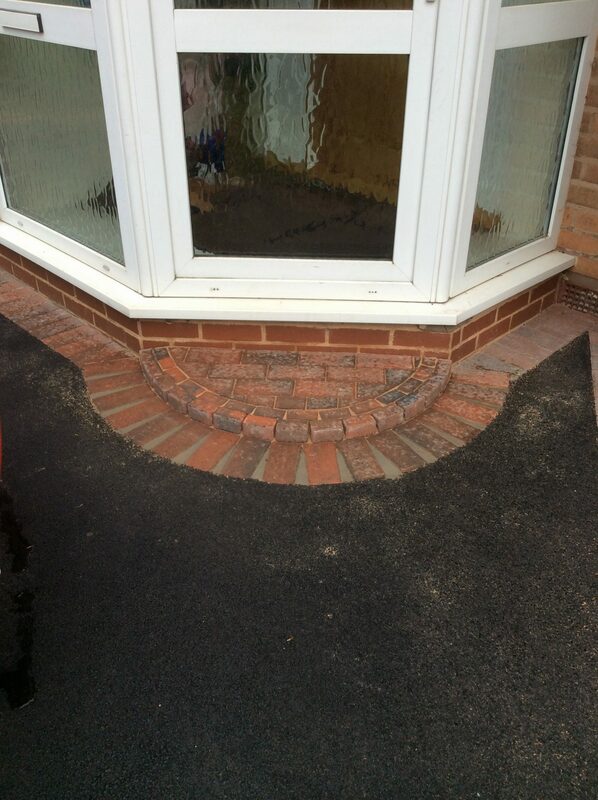 If you are looking for a step to be either block paved, brick, slab or tumble paving door step we are up to the job.